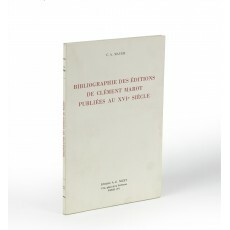 (25 cm), (4) 107 (1) pp., text illustrations. 294 entries. Publisher’s printed wrappers. 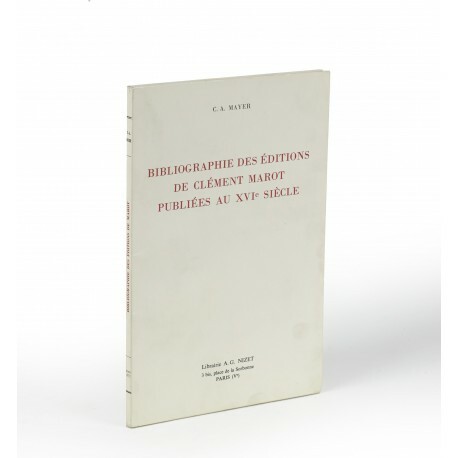 - Revised reprint of volume 2 of the author’s Bibliographie des oeuvres de Clément Marot (Geneva 1954). 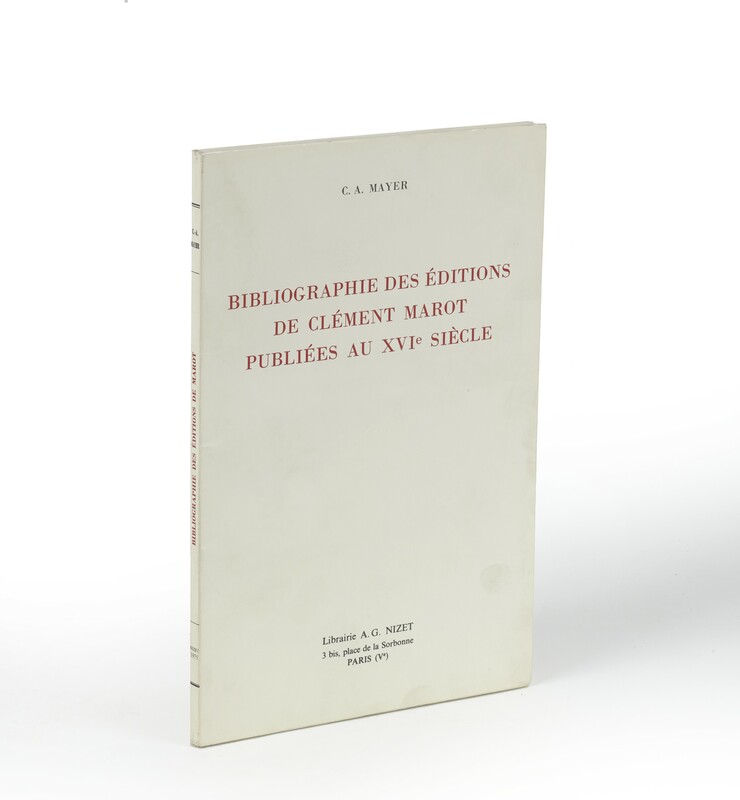 Reissued by Nizet in 2005 (ISBN 9782707803771). ¶ Very good copy.